In a small marina in Exmouth sits the Nina May. The 4.8m fibreglass boat is not much to look at, with just a small outboard motor it pales against the luxurious sailing boats that crowd the harbour. The boat is something of a legend amongst fishermen in the south west. Many have heard about this mysterious, tiny vessel but few have ever seen it sail. That is because the Nina May has a secret. 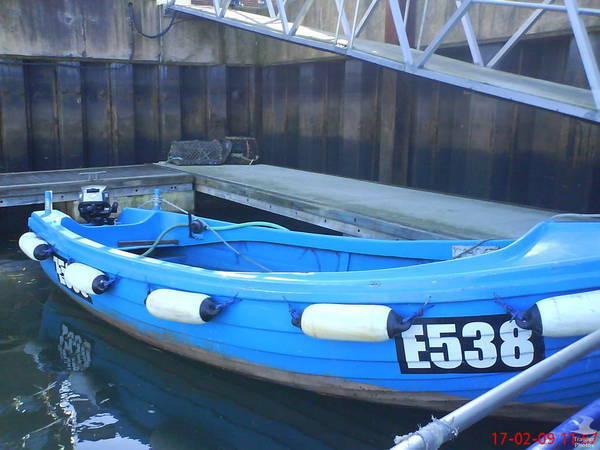 The tiny boat holds a massive amount of FQA, the unit used to dole out the right to fish in the UK. In fact the boat holds nearly a fifth of all fishing rights for the South West of England, and has much more quota than all but one of the much larger fishing boats in the area. But those figures seem to defy logic. According to government records, that amount of FQA equates to around 1,500 tonnes of fish a year. That means the tiny boat would need to fish an average of four tonnes of fish a day! Greenpeace spoke to Robin Carter, who runs F W S Carter Limited, the fishing company that owns the boat along with 12 other, much larger vessels. Carter explained that he transferred the FQA licenses onto the tiny boat and then sends out his bigger boats to write off their catches against that allowance. By doing that Carter’s fishermen can essentially fish without risking being penalised on quota should they be caught breaking the rules. “Why it’s on the Nina May is that if you get an offence, a log book offence, or some silly little offence, the ministry would freeze your licence. You wouldn’t be allowed to sell your licence or sell your quota on it. “We took the precaution – because we got caught once – of taking the fish off all the boats and just putting it one the one boat. Local news reports from 2011 state that a Robin Carter was charged £4,040 in fines and costs after pleading guilty to setting an illegal net off the coast near Sidmouth. The company made an operating profit of £2,628,000 last year. “We fish about 90% of the quota we have and lease the rest. We use the Marine Management Organisations set rates or the landing price to guide us, but markets prices move. It’s all about supply and demand. Quota is a currency you can swap,” Carter added. The Marine Management Organisation, the government body that oversees fishing allocation, told Unearthed there are no regulatory restrictions on the number of FQA units that can be held on a single licence. It said it has significantly improved the transparency of FQAs making data available through the FQA register which also enables FQA holders to transfer their FQA units electronically subject to Quota Management Rules. Griffin Carpenter from the New Economics Foundation researches the economics of European quota systems. He says this type of hoarding goes against the spirit of the system. “FQAs were intended to correspond to the actual fishing activity of vessels, but the case of the Nina May highlights just how far we’ve moved from matching quota with fishing activity. This practice may not be illegal, but it’s also not fulfilling any objective of the quota system, especially as many vessels are desperately trying to get access more quota and the government is trying to ensure that all existing quota is used,” said Carpenter. Carter does not think there is anything wrong with holding so much fishing rights on a tiny dinghy.